There are only 700 left in the area — but they want to kill even more. The lives of 23 grizzly bears are now in grave danger, despite thousands of animal lovers who tried to help them. If nothing more is done, they'll soon be killed so their body parts can be used as trophies. 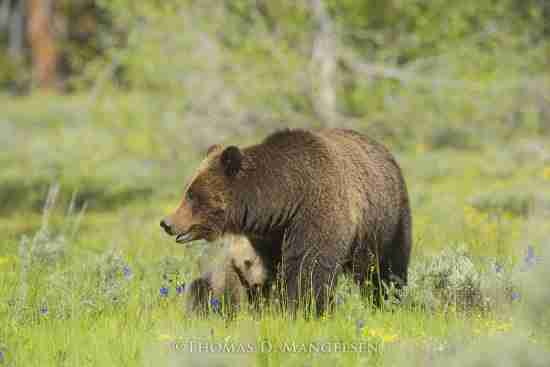 The Wyoming Game and Fish Commission proposed this trophy hunt earlier this year, which would allow hunters to kill bears around Yellowstone National Park and Grand Teton National Park. The proposal was met with huge resistance — over 200,000 people signed a petition to stop the hunt, and the commission received over 185,000 official complaints. But none of this seemed to help. 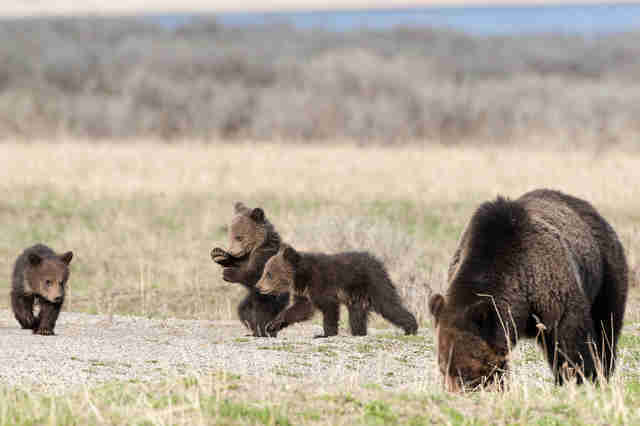 On Wednesday, the Wyoming Game and Fish Commission announced that it had officially approved the hunt, sealing the fate for 23 grizzly bears. 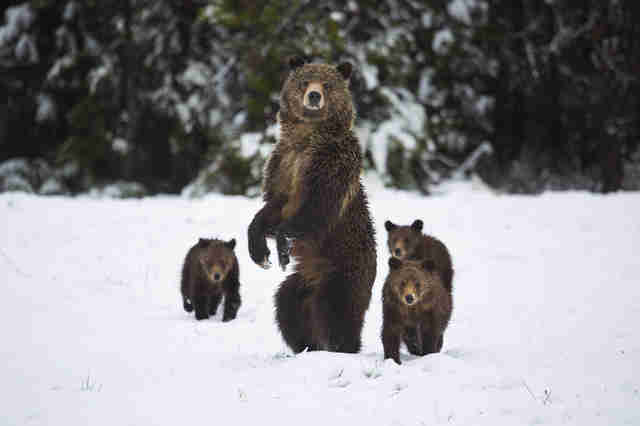 Right now, it's estimated that fewer than 1,200 grizzly bears are living in the United States. Yellowstone and Grand Teton's grizzly bears have been classified as an endangered species since 1975, but last year, the U.S. government stripped grizzly bears living in the Greater Yellowstone Ecosystem of their endangered species status, which eventually allowed people to start hunting them again. 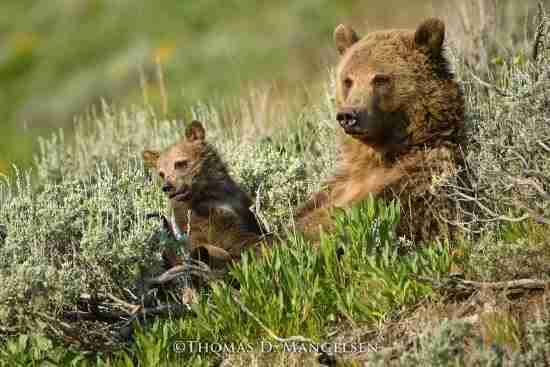 Even without hunting, grizzly bears are under threat — they’re often hit by cars and illegally shot by poachers. They’re also struggling to find food in Yellowstone National Park, where there’s been a severe shortage of trout. 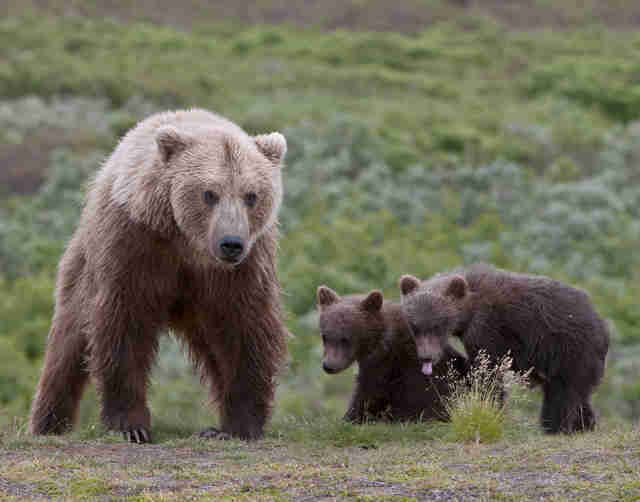 There are currently about 700 grizzly bears living in the Greater Yellowstone Ecosystem, but there’s a high mortality rate each year — 61 died in 2015, 58 died in 2016, and 56 died in 2017, according to Paquette. 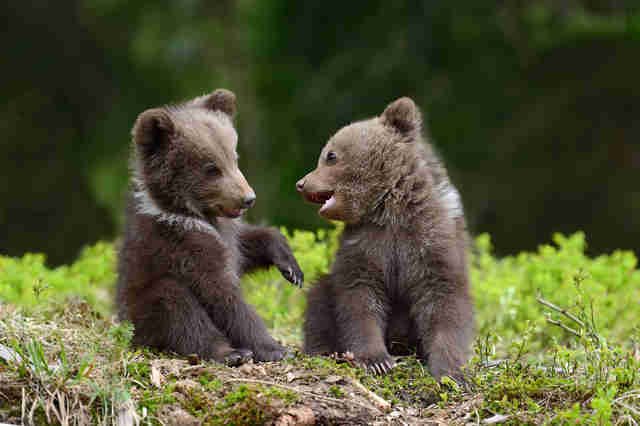 While some bears died of natural causes, others died because of human interference. This trophy hunt is set to begin on September 1, which is when grizzly bears are trying to fatten up before they hibernate for winter. As it stands right now, the hunt is moving ahead — yet Paquette and the team at HSUS will continue to put pressure on the state of Wyoming to reverse this decision. They’re also trying to stop similar hunts from happening in Idaho and Montana. To voice your opposition to this trophy hunt, you can contact Wyoming Governor Matt Mead.